Cue ($199.99, Ages 11+) – a robot with four hero avatars that takes personality, and interactive communication to an entirely new level. Chat, create, and code at the skill level that’s right for you. It’s newEmotive AI Engine was designed to engage users emotionally, and its intelligence, humor and deep content surface within chat interactions and autonomous behaviors. Dot Creativity Kit ($79.99, Ages 6+) – a clever little green robot with multiple sensors and a quirky personality that powers the Do-It-Yourself projects in the new Dot Creativity Kit. Dot comes pre-assembled and ready to play. With the Dot Creativity Kit, kids learn about robotics and develop fundamental coding and problem-solving skills while having fun. Dot’s projects range from crafting, active play, and code breaking, to storytelling and construction. 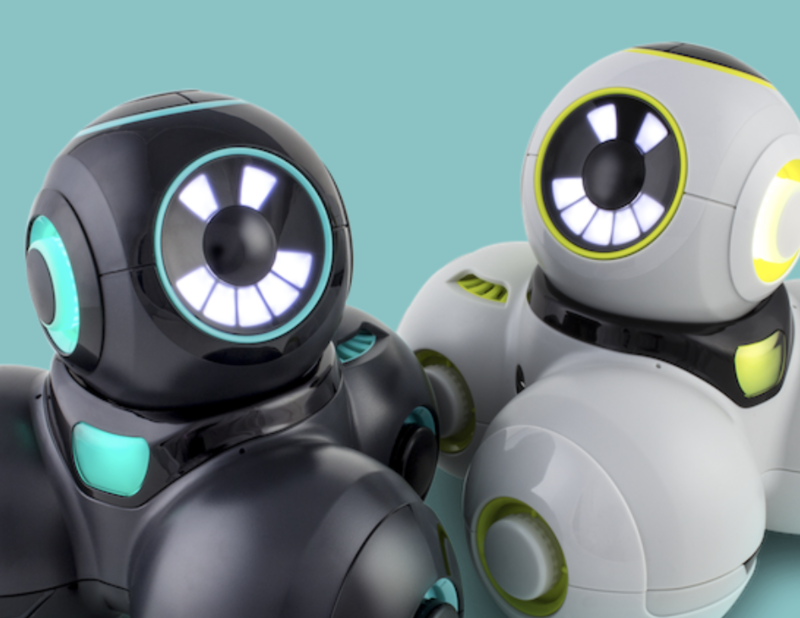 Dash ($149.99, Ages 6+) – an award-winning robot that makes learning to code fun for kids. Responding to voice, navigating objects, dancing, and singing, Dash is the robot your child always dreamed of having. Dash presents your kids with hundreds of projects, challenges and puzzles as well as endless possibilities for freeform plays. Dash works with five free mobile apps, including Wonder and Blockly.